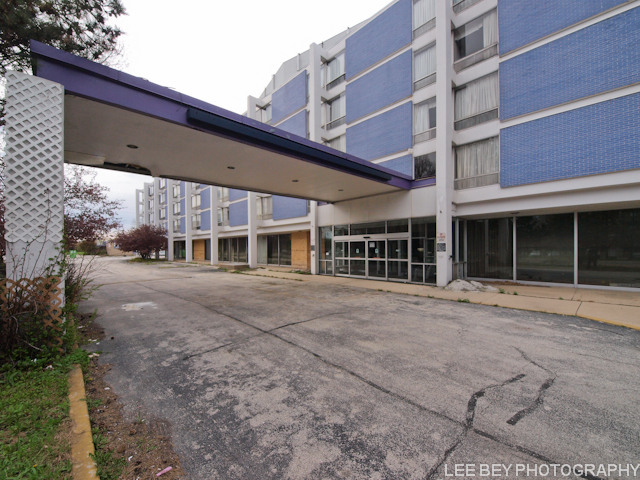 The team planning a major makeover of Lincolnwood&apos;s Purple Hotel wants to give the long-troubled landmark a new name as well as a new look. And they&apos;re asking the public&apos;s help. Jackie Koo, architect for Weiss Properties Inc., a Skokie company that led a group that purchased the hotel at auction in May for $8.3 million, is heading the effort to find a new moniker for the structure at 4500 W. Touhy. "We&apos;re looking for something that basically speaks to the midcentury modernity of it," Koo said. "But nothing has really hit." So Koo turned to the public today "just for fun," using her firm&apos;s Facebook page to solicit ideas. Prospective names would be forwarded to the hotel&apos;s owner, Jake Weiss, who would vet them with his branding team, Koo said. Under a plan first reported by this blog earlier this year, the shuttered hotel at the intersection of Lincoln and Touhy avenues would be remodeled with new retail establishments added to the grounds. Until Weiss Properties prevailed, the building faced demolition in 2011 as Lincolnwood officials awarded a $1.87 million contract to raze the edifice. Saving the building also became a minor cause celebre among preservationists of modern architecture. 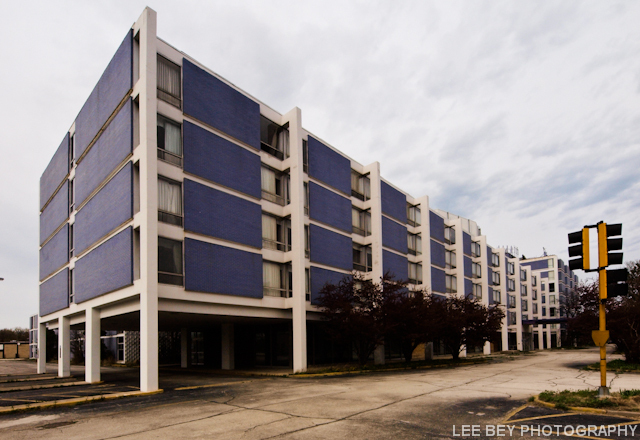 The hotel, built in 1961 as the area&apos;s first Hyatt Hotel, was designed by the architecture firm of Hausner & Macsai. A subsequent owner renamed the building the Purple Hotel in honor of the establishment&apos;s most visually-prominent feature of purple glazed exterior brick.